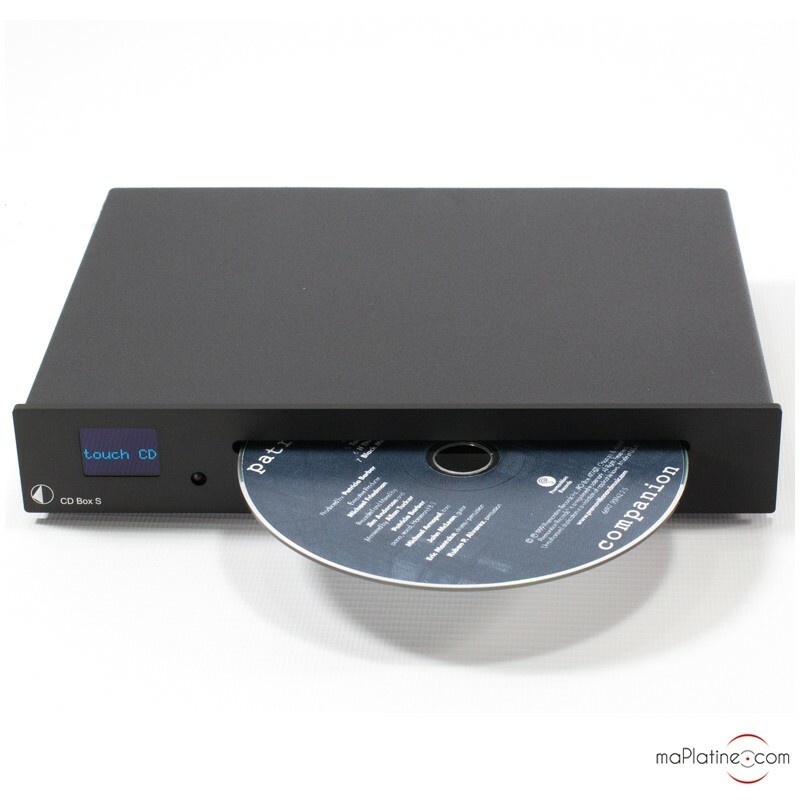 The Pro-Ject CD Box S CD player is part of the brand’s Box Design series. This CD player has an anti-vibration metal housing. 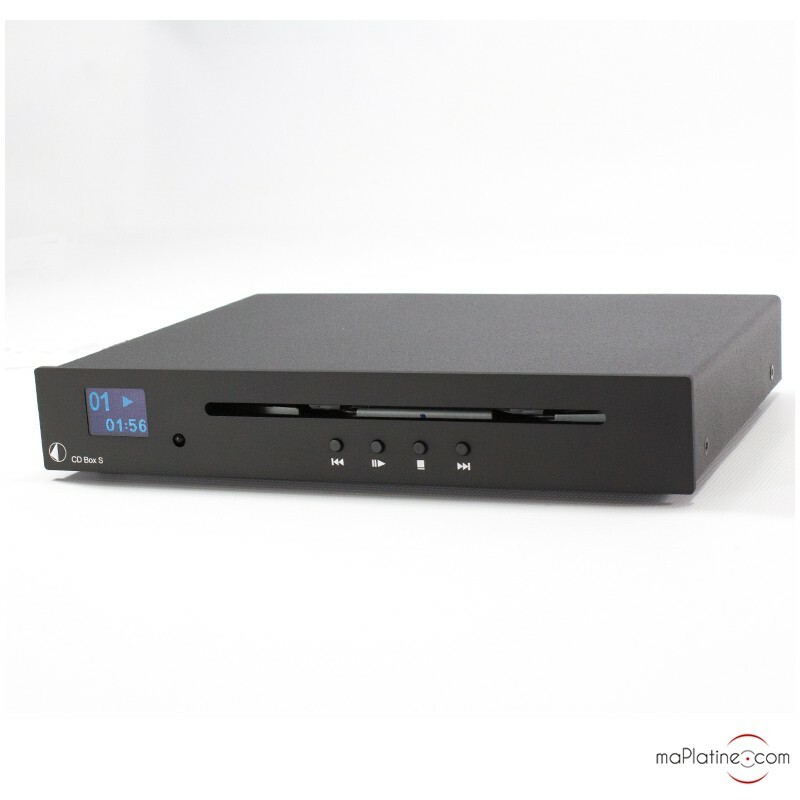 The front panel is available in 2 colours: silver or black. It has relatively small dimensions, so can be positioned in small spaces. 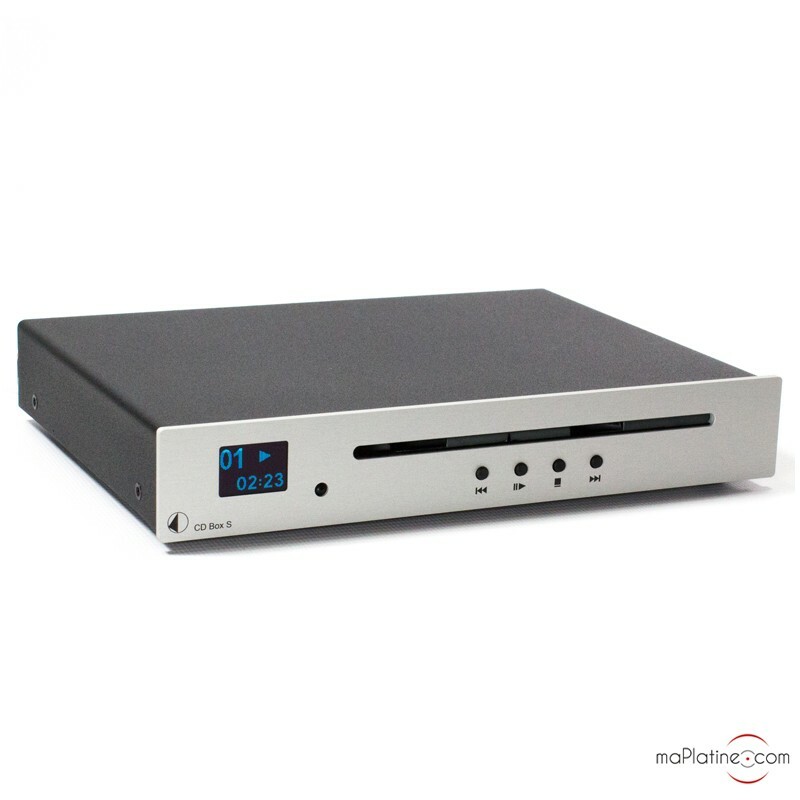 But despite its small size, the Pro-Ject CD Box S delivers big performances. 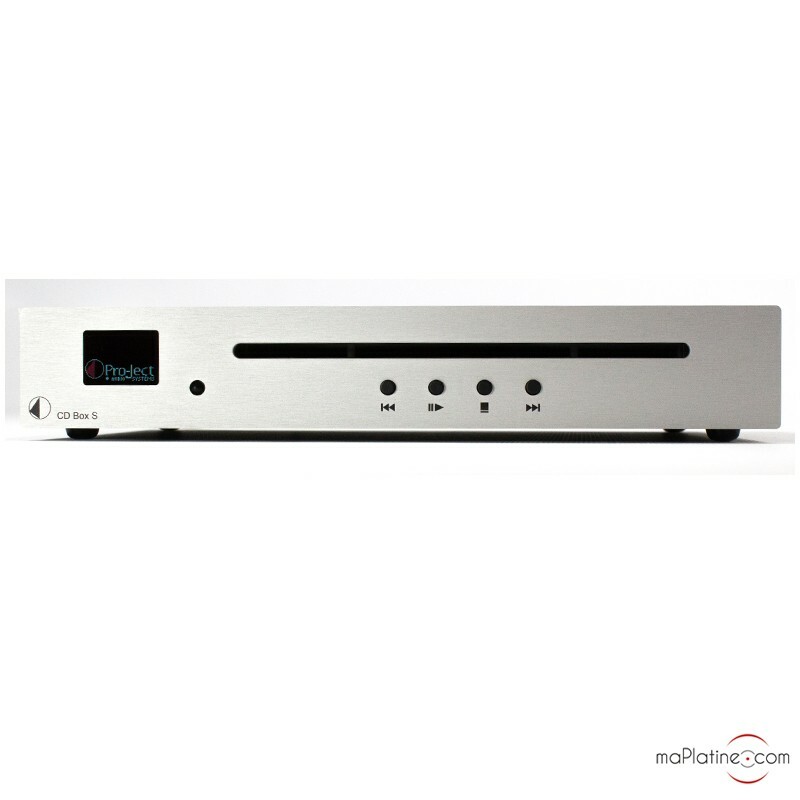 Its Texas Instrument TV320DAC23 digital-to-analogue converter (24Bits/96 KHZ) ensures that the CD Box S plays your favourite music with the utmost precision. It uses a slot mechanism (no tray). On the front panel are a set of buttons for controlling the player, but it also comes as standard with its own remote control. A blue display on the left-hand side of the front panel indicates the track being played and the any functions you may select, such as Repeat an album or track. 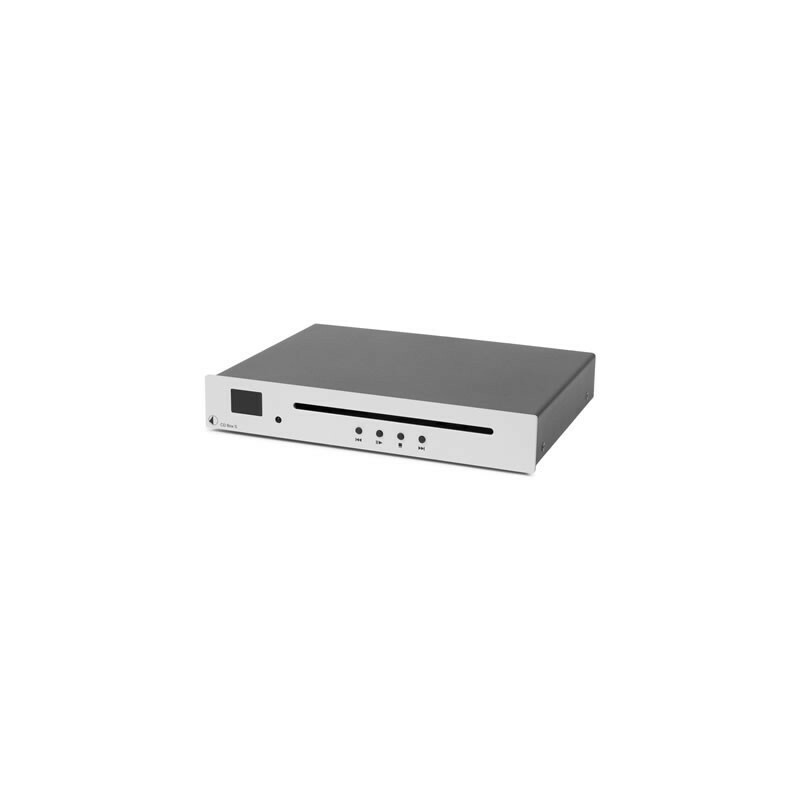 In terms of connectors, you can connect the CD Box S to an integrated amplifier (e.g. Pro-Ject Stereo Box S) or preamplifier (e.g. 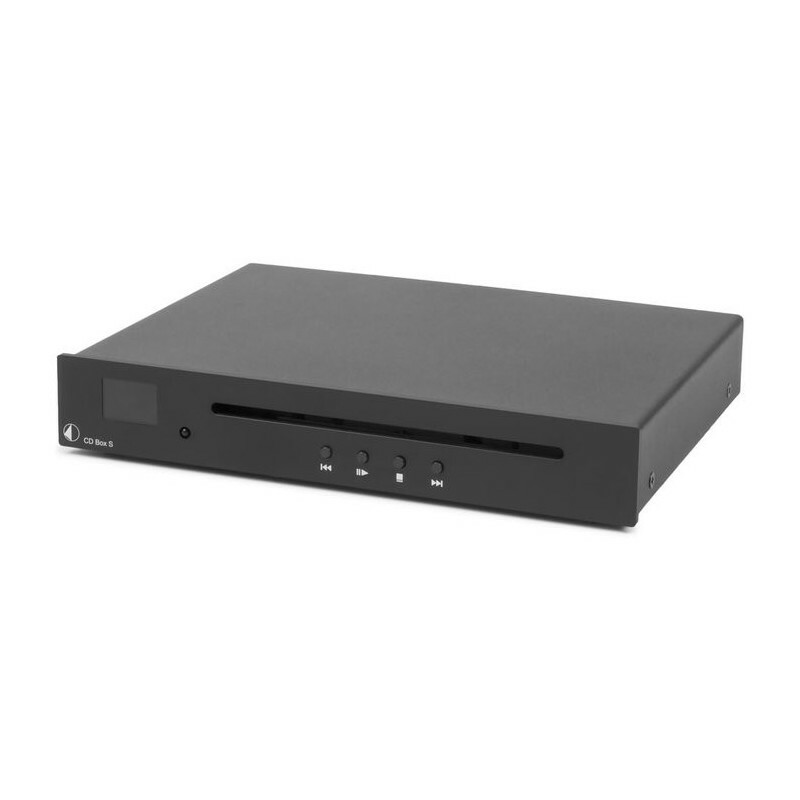 Pro-Ject Pre Box S) via the RCA steero output, and you can also connect it to a digital-to-analogue converter (e.g. 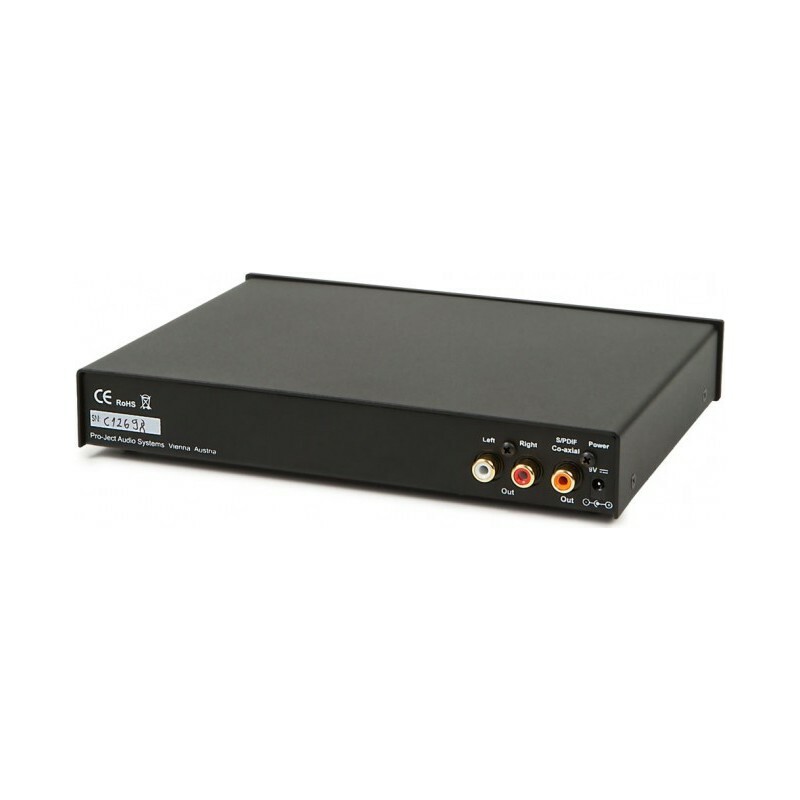 DAC Box S FL) via the coaxial S/PDIF digital output. It also has an outboard power supply to prevent interference. 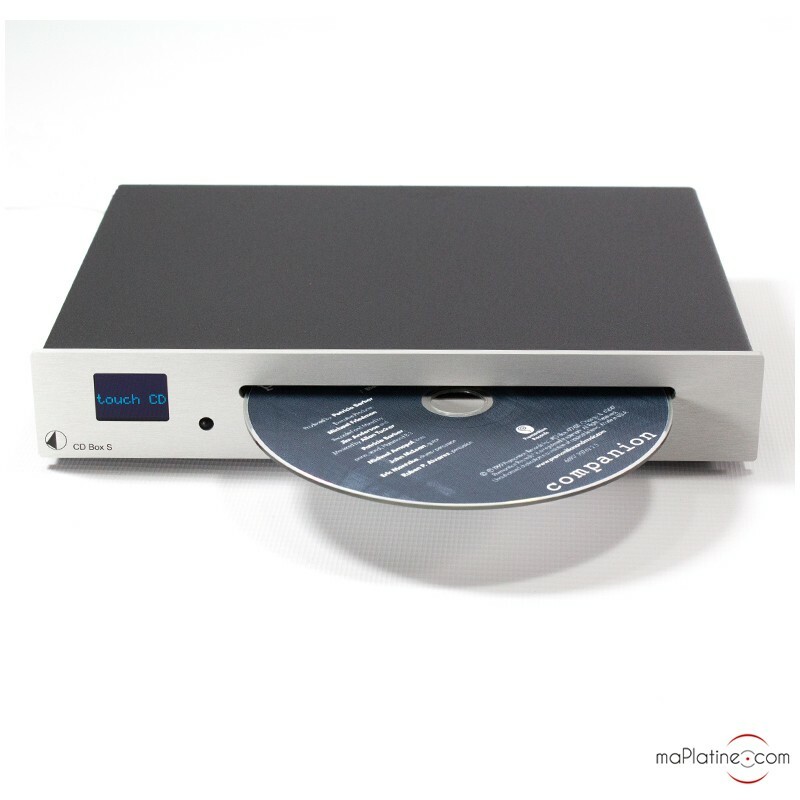 The Pro-Ject Box S CD player boasts the Austrian brand’s signature minimalist design and renowned sound quality. Unrivalled value for money!